Someone at the Department of Homeland Security has some explaining to do. The article was written to help promote her new book, The Other Barack: The Bold and Reckless Life of President Obama’s Father, due to be released on July 11. Jacobs pulls her information from one of a batch of INS documents she received two years ago, specifically an April 12, 1961, memo written by an official in the Honolulu office of the INS named Lyle H. Dahling. The memo is visible in miniature on her July 7 article. For the record, the Immigration and Naturalization Service was folded into the Department of Homeland Security in 2003. 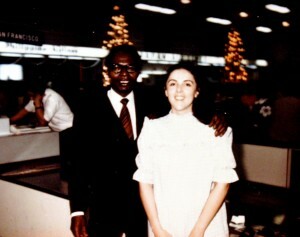 The subject was Barack Obama Sr. “Hapai” apparently is Hawaiian for pregnant, and “USC” is shorthand for “United States citizen.” This information was volunteered by Barack Obama, Sr. There is no evidence it was ever verified by the INS. For nearly two years, Jacobs uniquely possessed this information and sat on it. This raises some ethical questions on its own, but more questions would surface with the release of these same documents in April 2011 to Heather Smathers, a young reporter for the weekly Arizona Independent. Although Smathers received the same April 12 memo, she did not report on the potential adoption. The reason for Smathers’ silence was simple enough: the critical sentence had been redacted on the document she received. If readers scroll down to the April 12, 1961, memo they can see that it is the same memo that Jacobs posted but with a gaping hole in the middle of the third paragraph where the INS official talks about adoption. As I have reported earlier, later documents in this batch suggest that Obama Sr., while at Harvard, impregnated a high school exchange student from Kenya and sent to her to London for an abortion. No mainstream media picked up on the abortion angle when the Independent posted its documents because all key words had been redacted. Like the adoption story, the abortion story can help Jacobs sell books as long as that story is not old news. If the abortion story shows up in Jacobs’ book, the collusion in the media-government complex will be manifest. Article also published at American Thinker.